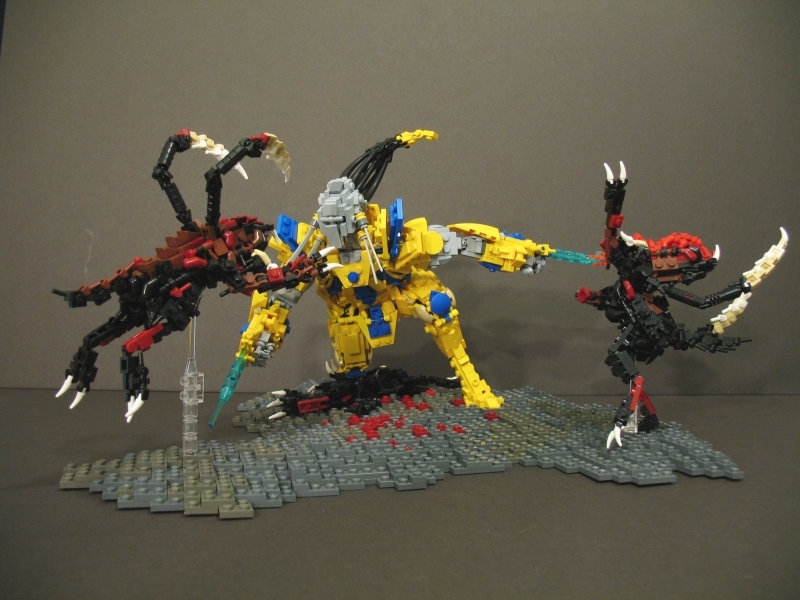 Danny Rice sends a Protoss Zealot into battle against a trio of Zerglings. Note the squashed Zergling on the ground. Woah, freakin awesome!!! were’d you get all the lego pieces?